What an incredible morning! 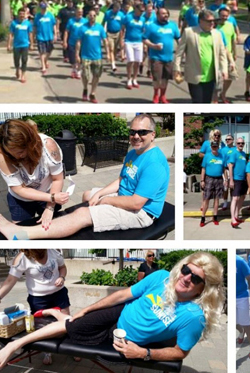 The 5th Annual Men in Heels was a HUGE success!! Setting a new record with over $43,000 raised for Nova Vita!! We couldn't be more proud to stand tall against domestic violence with our fellow Sunrise Rotarians in an ocean of Rotary blue and gold! In less than a month we put together a team of more than 20 walkers and took second place in the team division raising more than $8000!! Not bad for our first year as a team... imagine what we can put together next year! A very special mention to our Club President Kevin Davis. Not only did Kevin win the Mr. Congeniality Award but was also responsible for almost $4000 of our team's total. You went hard Mr. President and you set the bar for next year!